For all the talk about energy shortages, the fact is the Earth is giant ball of energy that has been producing heat ever since the solar system was formed billions of years ago. The temperature at the core — 6,000 degrees Celsius — is roughly the same as the surface of the sun. All that heat radiates outward through the Earth’s mantle and crust. Less than 1 percent of the electricity in the United States comes from geothermal sources, and energy specialists believe that geothermal power should make a much greater contribution to U.S. electricity. A new consortium plans to pump water into the rock about 8,000 to 12,000 feet deep, fracture the rock and capture heat, then bring heated, pressurized water back to the surface to generate energy. Researchers are proposing a new “hydricity” concept aimed at creating a sustainable economy by not only generating electricity with solar energy, but also producing and storing hydrogen from superheated water for round-the-clock power production. A study by geophysicists shows that earthquakes resulting from fracking-related wastewater injection follow several indicative patterns that are starkly different from natural causes. One of the study’s main conclusions is that the likelihood of large-magnitude manmade, or “induced,” earthquakes in areas where fracking activity takes place, increases over time, independent of the previous seismicity rate. The study’s findings could have implications for both the oil and natural gas industry and for government regulators. Under current practices, extraction activities typically shut down in an area if a high-magnitude earthquake occurs. But according to the researchers, a better approach might be to limit production before a large quake occurs. There are 2,440 planned coal plants around the world, totaling 1428GW, which could emit approximately 16-18 percent of the total allowed emissions in 2030 (under a 2°C-compatible scenario, medium range). If all coal plants in the pipeline were to be built, by 2030, emissions from coal power would be 400 percent higher than what is consistent with a 2°C pathway, according to a new analysis. A common criticism of a total transition to renewable energy — wind, water, and solar power — is that the U.S. electrical grid cannot affordably store enough standby electricity to keep the system stable. Researchers propose an underground solution to that problem. The researchers use data from single-state calculations of the number of wind, water, and solar generators potentially needed in each state to show that these installations can theoretically result in a reliable, affordable national grid when the generators are combined with inexpensive storage and “demand response” — a program in which utilities give customers incentives to control times of peak demand. Cushing, Oklahoma, is the site of an immense oil tank farm, which presently stores fifty-four million barrels awaiting transfer to coastal refineries and plants. The tank farm is considered an integral and vital part of our national energy infrastructure. According to scientists, the integrity of the Cushing hub is now at risk because of fracking. Studies document that the recent disposal of millions of barrels of water into disposal wells, including those adjacent to the Cushing hub, have caused the rapid rise of earthquakes in Oklahoma. Oklahoma earthquakes have thus become a very real national security issue. Until federal expertise and support reaches Oklahoma, a potential human-made catastrophe could conceivably also become a national security disaster. Hydraulic fracturing, also known as “fracking,” is used to break the subsurface rock mass into pieces and is done by injecting high-pressure fluid. While this gives the fluid or gas more paths to reach production wells, it also leads to several environmental problems, one of which is the unwanted shaking of the ground structures caused by the movement of large faults. 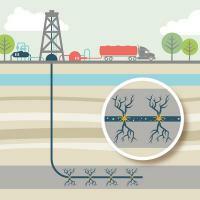 Using computer analysis prior to drilling could limit seismic events as a result of hydraulic fracturing. On 30 April, Tesla’s Elon Musk took the stage in California to introduce the company’s Powerwall battery energy storage system, which he hopes will revolutionize the dormant market for household and utility-scale batteries. A few days later, the Supreme Court announced that it would hear a case during its fall term that could very well determine whether Tesla’s technology gamble succeeds or fails. At issue is an obscure federal policy known in the dry language of the electricity business as “Order 745,” which a lower court vacated last year. Order 745 allowed electricity customers to be paid for reducing electricity usage from the grid — a practice known as “demand response.” It also stipulated that demand response customers would be paid the market price for not using the grid — like the power industry’s version of paying farmers not to grow corn. This case, ultimately, is far more significant than getting paid for not using electricity. It’s about who gets to set the rules of the road for emerging technology in the electricity sector — the states or the federal government — and whether the United States will be able to modernize its energy policy the same way that it would like to modernize its power grid. Cyber networks support many important functions within energy delivery systems, from sending data between a smart meter and utility to controlling oil or gas flow in a pipeline. However, they are vulnerable to disturbances. According to the ICS-CERT Monitor, a publication of the U.S. Department of Homeland Security, a third of the 245 reported cyber incidents in industrial control systems that happened in 2014 occurred in the energy sector. The U.S. Department of Energy (DoE) initiative awards $28.1million to a consortium of eleven universities and research organizations, with the goal of improving computer/communication networks for energy delivery systems like power grids and pipelines. Tapping the natural heat of the earth may be more cost-effective and clean thanks to a research into a new area of geothermal energy, called enhanced geothermal systems. These systems are designed to enable power production in areas where conventional geothermal techniques do not work. 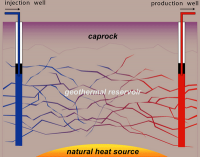 Unlike typical geothermal systems, which rely on porous rock, enhanced geothermal systems have much greater potential to tap the energy of geothermal hot spots in areas of otherwise impermeable bedrock. The potential could be especially high in the western United States, including New Mexico. Solar energy pricing is at an all-time low, according to a new report. Driven by lower installed costs, improved project performance, and a race to build projects ahead of a reduction in a key federal incentive, utility-scale solar project developers have been negotiating power sales agreements with utilities at prices averaging just 5¢/kWh. These prices reflect receipt of the 30 percent federal investment tax credit, which is scheduled to decline to 10 percent after 2016, and would be higher if not for that incentive. By comparison, average wholesale electricity prices across the United States ranged from 3 to 6 cents/kWh in 2014, depending on the region. 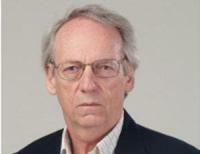 Experts say that the United States has fallen behind in offshore wind power. Their research shows that while offshore wind turbines have been successfully deployed in Europe since 1991, the United States is further from commercial-scale offshore wind deployment today than it was in 2005. “As we celebrate the 10-year anniversary of the U.S. Energy Policy Act of 2005, it is disheartening to see that while land-based wind and solar have reached new heights, U.S. offshore wind has remained a missed opportunity,” says one of the experts. Energy companies used nearly 250 billion gallons of water to extract unconventional shale gas and oil from hydraulically fractured wells in the United States between 2005 and 2014, a new study finds. During the same period, the fracked wells generated about 210 billion gallons of wastewater. Large though those numbers seem, the study calculates that the water used in fracking makes up less than 1 percent of total industrial water use nationwide. Nuclear fusion is a process whereby atomic nuclei melt together and release energy. Because of the low binding energy of the tiny atomic nuclei, energy can be released by combining two small nuclei with a heavier one. Fusion energy may soon be used in small-scale power stations. This means producing environmentally friendly heating and electricity at a low cost from fuel found in water. Both heating generators and generators for electricity could be developed within a few years, according to researchers. The cost of coal use is greater than it seems and policies geared toward subsidizing its use must be reformed quickly, before countries invest in coal-fired plants, a new study says. Governments around the world heavily subsidize fossil fuels, and in 2013 pretax subsidies amounted to about $550 billion worldwide. These substantial subsidies not only drain funds that could be used for other purposes, such as sanitation and poverty reduction, but discourage investments in low-carbon alternatives.